Mr Jonathan Adamthwaite FRCS (Plast) is a fully accredited Consultant Plastic Surgeon specialising in Cosmetic surgical and nonsurgical treatments and Reconstructive surgery. Mr Sunil Auplish is a Consultant Orthopaedic Surgeon in York who specalises in keyhole surgery of the shoulder, elbow hand and wrist. 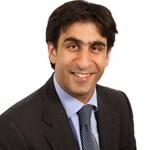 Mr Sunil Pai is a Consultant Orthopaedic Surgeon in York who specalises in Hip & Knee Replacements. Mr Charlie Jowett is a Consultant Orthopaedic Surgeon in York, North Yorkshire who specalises in foot and ankle surgery. Mr Edward Britton - Consultant Orthopaedic Surgeon, Clifton Park Hospital, York who specialises in hip and knee procedures. Mr James Haeney is a Consultant Cosmetic Surgeon in York, North Yorkshire who specialises in cosmetic and plastic surgery. 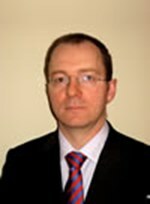 Mr Alastair Platt is a Consultant Cosmetic Surgeon in York, North Yorkshire who specialises in cosmetic surgery.